When it comes to perfumes, I lean toward sweet or clean scents. It's no surprise then, I had to check out the Clean Perfume line. This entire line is inspired by clean, fresh scents such as fresh laundry, rain, clean cotton, you get the idea. I had a hard time deciding between the cotton scents but really gravitated toward Warm Cotton. I wanted a versatile scent that wasn't too over-powering and I love it! 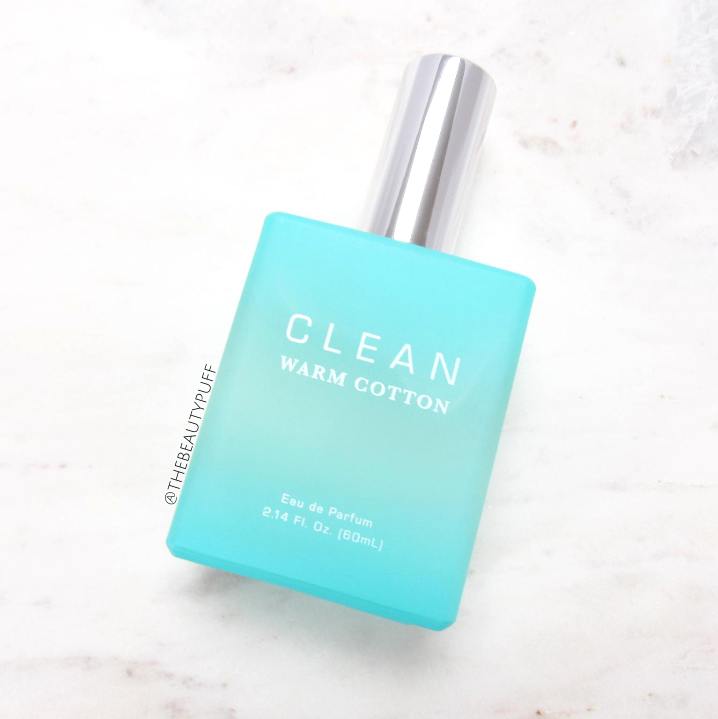 Scent | Warm Cotton is a fresh scent with notes of citrus, lilac and jasmine. It's the kind of scent you can wear during the day or at night. It's not too sweet or heavy and can be worn in any season. It does have a bit of warmth to it that makes me think of fall, which is why I gravitated toward this scent this time of year. It's the kind of scent that makes you feel cozy. Love. Style | The Clean Perfumes come in sleek rectangular bottles that look beautiful out on display. I appreciate more intricate designs, but I have a very minimal style so these were definitely eye-catching to me! I'll definitely be looking into more scents to add to my collection. Versatility | If you have a hard time narrowing it down to one particular scent in the Clean Perfume line, you can enjoy more than one by layering them. Clean perfumes are versatile enough that you can combine certain scents to get a whole new fragrance. For example, Warm Cotton would pair well with scents such as Air, Cool Cotton, Fresh Laundry or Blossom. It's like getting your own custom fragrance! It also helps to adapt scents to certain seasons or occasions. Gifting | While scents can be difficult to choose for others, this line has a lot of universally appealing scents. They even have a scent for men as well as a unisex scent. If you love no-fuss scents that suit multiple times of year, you'll love the Clean Perfume line. You can find Warm Cotton, along with many others on the Notino website below!